Sigma Beauty Blog: Natural vs. Synthetic – what’s the difference? 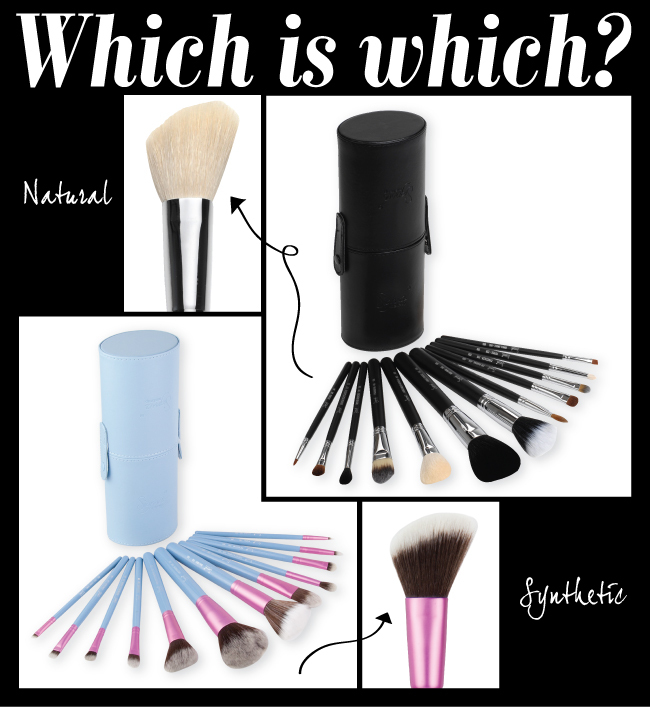 When it comes to makeup brushes, there are two kinds: natural and synthetic. So how do you know which one to choose? Here we’ve summarized the differences for you! Natural bristled-brushes hold product extremely well and are best suited for building color. The bristles hold powder products most effectively because of the cuticle on the hair, which helps to keep the makeup on the brush until you apply it. For that reason, professionals tend to prefer natural brushes over synthetic ones. 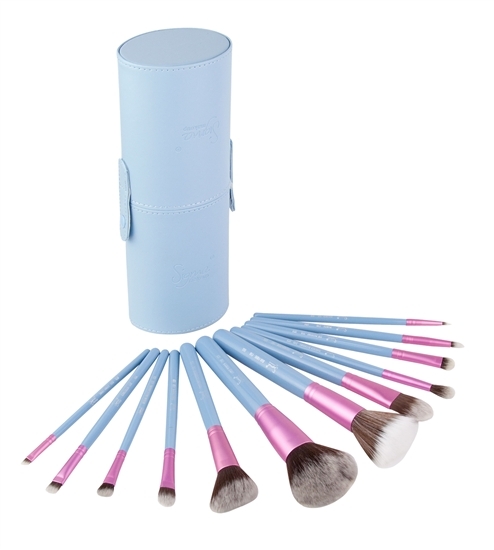 Sigma Beauty’s synthetic bristled-brushes utilize the Sigmax HD filament that is 100% man-made. These brushes rarely shed, if ever at all, and are a perfect fit for someone who chooses to use vegan-friendly products. Synthetic brushes provide flawless makeup application without absorption of product into the bristles. People who have any kind of of sensitivities or allergies should opt for synthetic brushes. As a general rule, natural fibers are best for powders whereas synthetic fibers are best for creams and liquid. In the end, both types of bristles are high-quality and provide fabulous makeup application. Whether you decide to purchase natural or synthetic comes down to personal preference. Sonhando com um kit desses de cerdas naturais!!!! I'm in love with the Synthetic ones! We are expecting the Mrs. Bunny to be back in stock by the end of this week. Please email contact@sigmabeauty.com if you'd like to be added to the notification list. I am also looking for the Mrs. Bunny Collection. I already sent you a guys a email. I really-really would like to know when its going to be available? Please let me know. I have the Mr. Bunny travel kit and I love them to death! I love these brushes, need to get my hands on some! Hi, I am also looking for the Mrs. Bunny Collection. I already sent you a guys an email. But, I haven't heard back? I really-really would like to know when its going to be available? Please let me know. It will be available again very soon! Please email contact@sigmabeauty.com if you'd like to be added to the notification list.